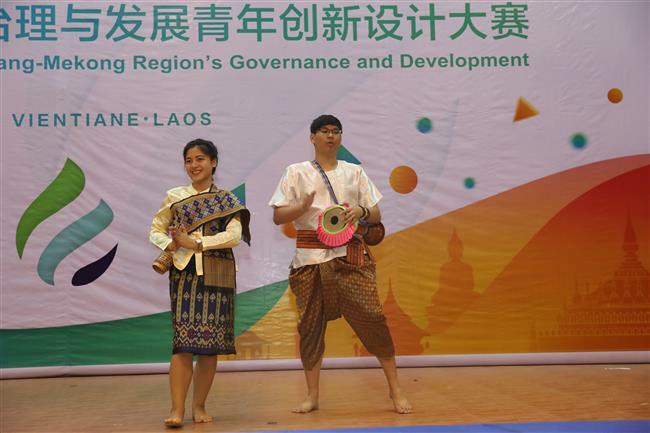 The Youth Innovation Competition on Lantsang-Mekong Region's Governance and Development brought together students from six countries to Vientiane, capital of Laos. 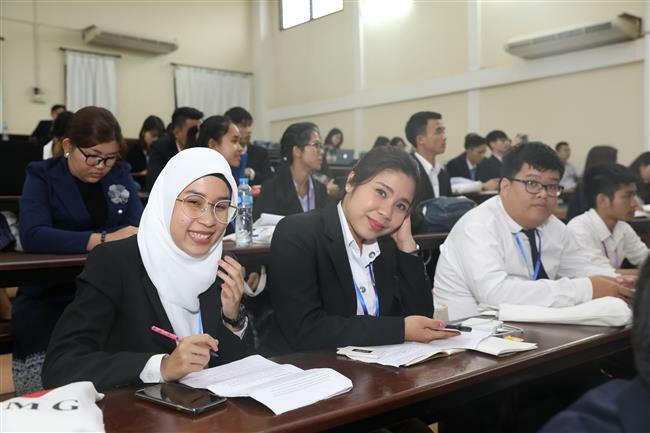 Students from 11 universities of six countries along the Mekong River, including China, competed in the third Youth Innovation Competition on Lantsang-Mekong Region’s Governance and Development. The competition was initiated in 2016 to inspire students to work out innovative and feasible projects offering suggestions and advice for regional development and to cultivate their international vision and cooperation capacity. It requires each three-member team to identify a problem in the region and provide solutions. It was the first time the competition had been held outside China. Connecting a total area of over 2.7 million square kilometers and with a population of 320 million, the Lantsang-Mekong region is rich in natural and labor resources, but still underdeveloped. Under this year’s theme of “development of tourism and other green industries,” students from six countries in the Lantsang-Mekong region — China, Laos, Myanmar, Thailand, Cambodia and Vietnam — came up with a total of 42 projects. 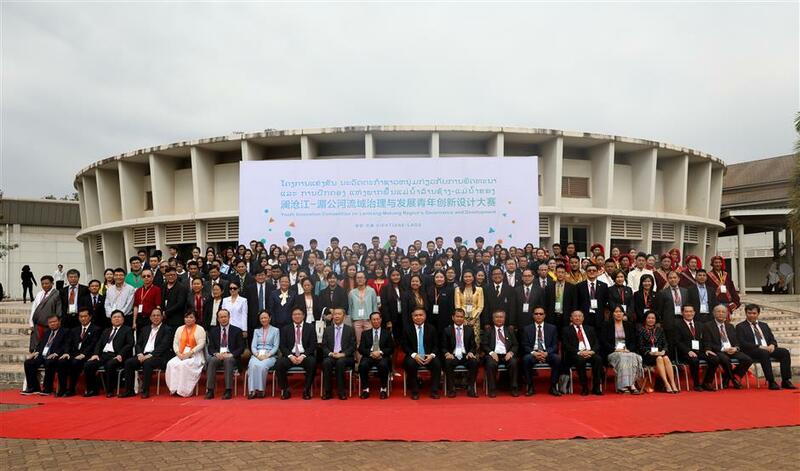 After schools’ recommendations and experts’ evaluation, 20 projects entered the final competition, which was held from January 27 to 30 in Vientiane, capital of Laos. The YICMG gathers students and experts from the six countries of China, Laos, Myanmar, Thailand, Cambodia and Vietnam. Qian Xuehua, a junior student who majors in business English in the Guangxi university, said the youth league would be a nonprofit organization to assist governments of all countries in reserving talent for ecotourism. Qian said the realization of the project would need government support, as well as help from research institutions and tourism experts who can provide business practice resources. Relevant departments of the scenic spots may provide teaching funds for the youth league. According to Yao Jinming, a junior student from Qinghai University who majors in electrical engineering and automation, the project is aimed at ecological protection, monitoring of climate change and water resources protection in the river, known as the Lancang in China. Students explain how their projects will contribute to regional development. “We use pressure sensors and GPS positioning to obtain the intelligence balloons’ status during the flight. At the same time, we use the MCU program we designed to hover and adjust the height of the balloon. The design of the detector allows further development space,” Yao added. 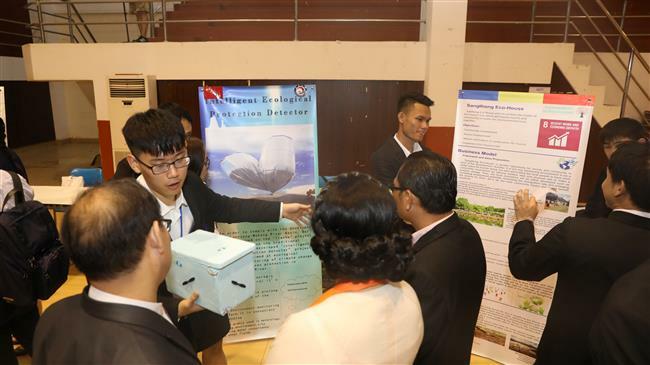 In the first round of the competition, “The Langtsang-Mekong International Youth League” project won the “The Most Innovative Team Award.” Also winning the award was “Sangthong Eco House,” a project by the National University of Laos. “The Most Valuable Issue Award” went to “Implementation of an Eco-Friendly Hotel” by University of Yangon and “Dragonball Project” by Vietnam National University. In the second round, all teams were “dismissed” and individual students had to form new three-member international teams. The 20 projects were assigned to the 20 new international teams through a draw. The new teams then had to improve the assigned projects under the direction of experts to experience international cooperation. At the end of the second round, “The Best Project for Incubation Team Award” and “The Best Multinational Team Award” were given. “We received professional instruction from the experts who helped to refine on our original ideas,” said Yao. “The second round is extremely challenging as we had to communicate and work together with students from other countries on unfamiliar projects. Some of us had to sacrifice sleep to complete the task. But it’s also extremely meaningful. I have learned a lot and will remember this experience for a long time,” said Yao. Students discuss their project during the finals of the Youth Innovation Competition. “The purpose of this competition is to cultivate young people’s innovation consciousness,” said Chen Zhimin, associate vice president of Fudan University. “The pattern of the competition also helped to cultivate the students’ leadership ability and broaden their vision. “The students’ ideas were not bordered by limits like politics or policies. Therefore, some of their fresh and inspiring ideas may contribute to the management of issues among the six countries,” added Chen. Chen said a YICMG summer camp will be held in Shanghai in August, during which innovation and entrepreneurial training and forums will be organized for students from the six countries. As one of YICMG’s major organizers, Fudan University has been responsible of assuring the success of the international competition rather than sending teams to compete. “Fudan students own the upper hand compared to their foreign counterparts. 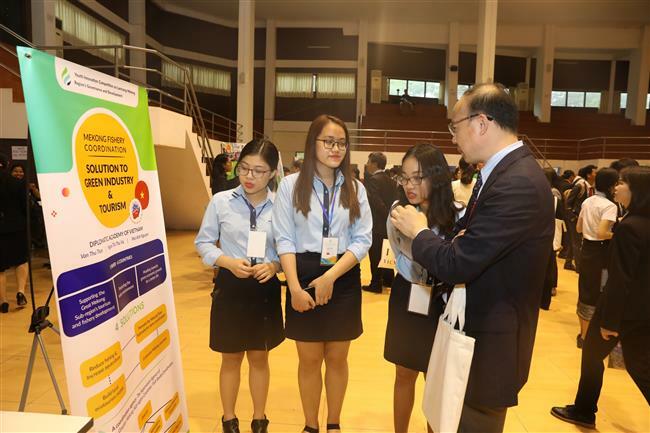 So we decided to let our students learn from the organizing process itself instead of taking part in the competition,” said Fang Ming, director of Fudan University’s Department of Graduate Affairs, who also manages YICMG’s international organizing committee. 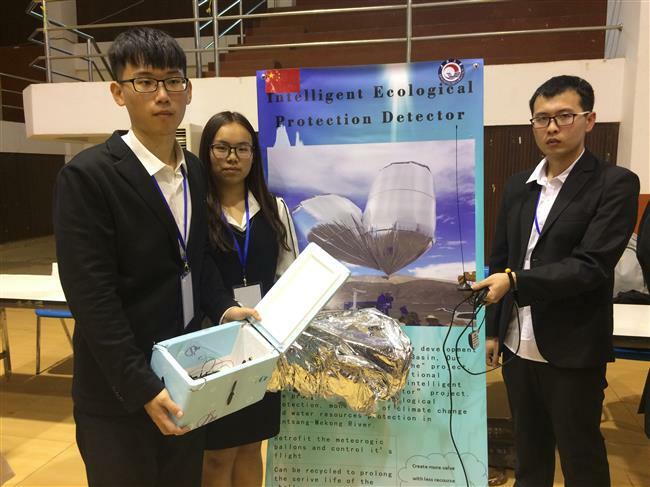 Students from Qinghai University present their "Intelligent Ecological Protection Detector" project. Fang added that YICMG had been “growing surprisingly quickly” since the organizing committee was established in January 2016. A total of 135 proposals by 17 universities from the six countries have been received over the past three competitions. The award winning projects at YICMG will receive prize money for further development before being able to attract the attention of entrepreneurs and companies for potential investment. The fourth YICMG will be held in Cambodia next year with a theme of “Green consumption and production.” It will go to Thailand in 2020 and Vietnam in 2021. Students show off their art talent during the competition finals in the capital of Laos. A total of 135 proposals by 17 universities from six countries have been received over the past three competitions.